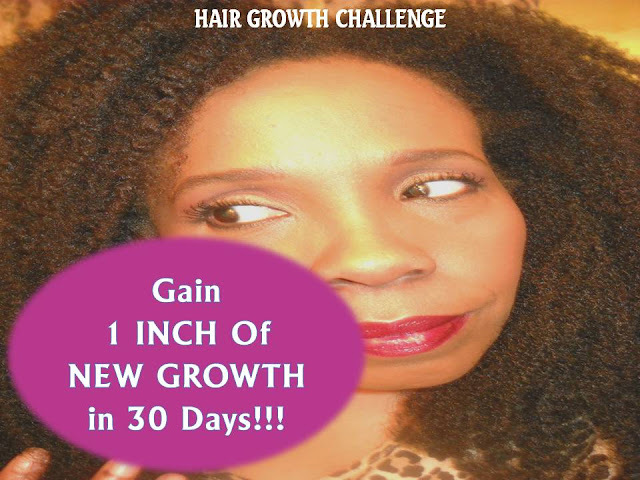 JOIN THE NUMBER ONE HAIR GROWTH CHALLENGE ON THE INTERNET! 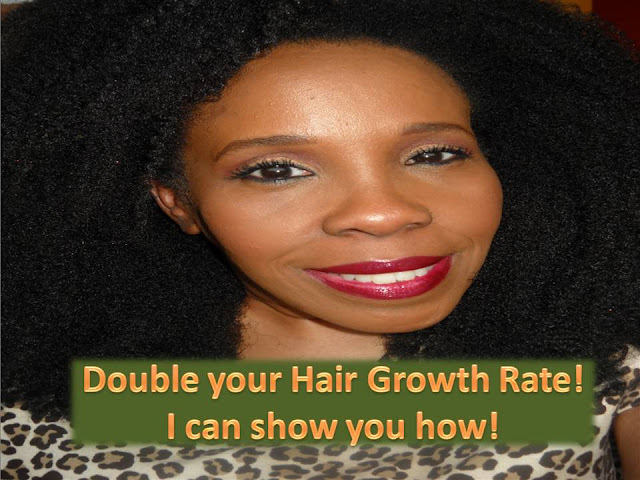 Has your hair growth been slow? Does your hair growth need a BOOST? Ladies here is your chance to reach your hair length goals faster! 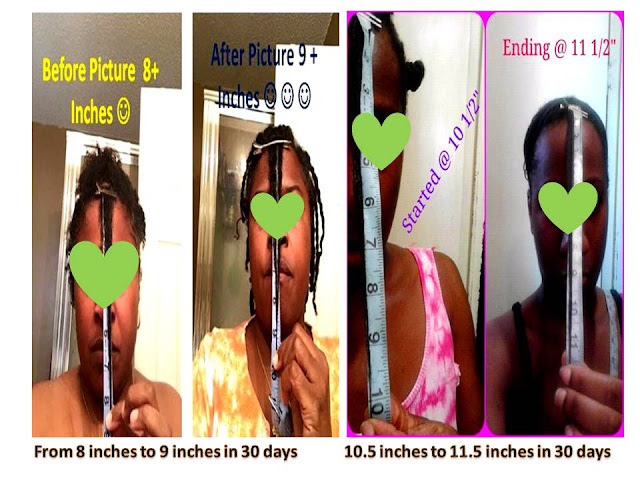 I have offered this challenge online for 4 years and the success rate is 97%!!! YES 97% of those who complete this challenge gain one inch of hair growth during the first 30 days. 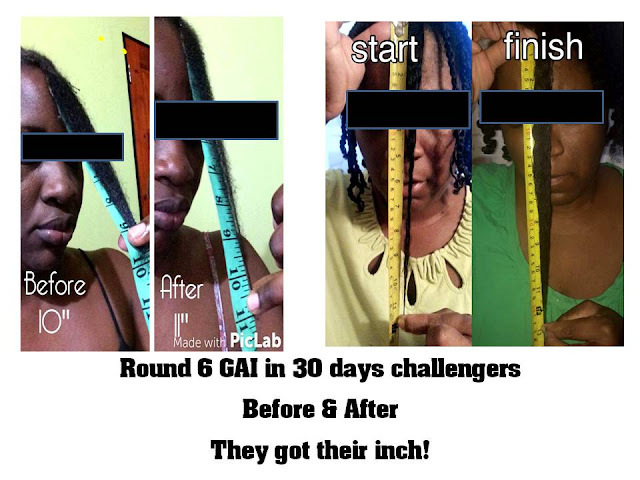 This challenge will DOUBLE YOUR HAIR GROWTH RATE!!! If you are ready to put in the work then let's GROW! Challenge begins January 7th, 2017.
who afraid to let their hair look a little frizzy at times. wearing their hair twisted, extensions or braided. 1. NO, sew ins, weaves, or micro braids. 3. If your hair is longer than a TWA it is best to choose one of the above styles. Access to the scalp is very important. 4. Hair can be natural, relaxed or transitioning. 5. Must be able to show before and after photos of length. 6. Must have a budget to purchase products required to participate. 7. Must be willing to read all information required. 8. Must have daily reliable, access to internet besides just your phone. 9. Must be willing to actively communicate in the challenge. 10. MUST BE 18 OR HAVE YOUR PARENTS PERMISSION. VERY IMPORTANT FOR THOSE WHO GET EXTENSIONS. group on GOOGLE Plus. After you sign up, you can choose to join the Google plus challenge or Facebook groups challenge. SIGN UP THROUGH PAYPAL, BY CLICKING THE BUY NOW BUTTON BELOW. I WILL THEN SEND YOU AN EMAIL CONFIRMING YOUR PLACE IN THE CHALLENGE. Does having canerows without extensions under your wig count as an acceptable style for the challenge? Hello, I need your help. I made a mistake after paying for the 30 day challenge. I don't know what the mistake is. I am interested in the 30 day challenge in May 2016. My name is HairRocks777. Hello thanks for you interest. Nothing came through, if so, you would receive an email from me to the email address on your paypal account. Click the link again and sign up again and see if it goes through this time. I would like too be in this challenge what products have too use.do we have to get our own products use. Ms.Vee mack help me out here. I need your feed back. Hello thank you! Once you sign up you will receive a supply list of what is needed. Scroll up to the article and you will see how to sign up via paypal. As of July 5th you have not replied to my email that was sent to your email address on paypal as it states above. So go back and check your email for my letter. You will see a list questions to return back to me.